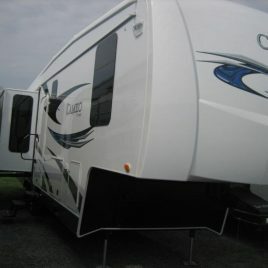 41″ long trailer with living area slideout. Full kitchen, bed at front, Shower/toilet. 6.0t tare weight 7.5t ATM. Brand new Air brakes Tri S-Cam axles with new 16″wheels/tyres. Car area is 5m long x 1920mm between the wheel arches, 2.4 high. Rear load ramp and two PA doors. 12 & 240v Fluro lighting and small tyre rack on wall. 2 x folding beds/seating above wheel arches. Ladder to roof top “Nascar style” viewing platform with folding handrail. Living area is 3m long, Bed area 2.8m long & 1250 high. Bathroom has small vanity basin, 2 thru doors with shower one side & toilet other. Living has large 2 door Fridge,gas cooker, double sink, hot water, gas heating, Heat /cool air cond. 3″ ball coupling at tow hitch. Overall roof height is 3550mm. Fitted with a very cool chequered flag roll up awning. The trailer is in excellent condition and is currently being fitted with new air braked axles wheel /tyres. This trailer will be provided ready for rego as a heavy trailer. Pin weight is 2.2t empty so the tow vehicle will need dual rear wheels. More details & photos on our web site. 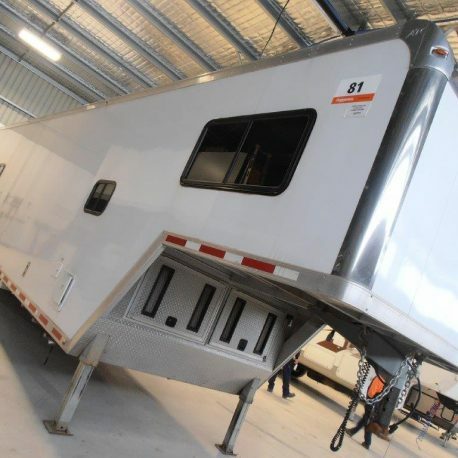 Contact: Scott or James at 5th Wheelers Australia in Ballarat 03 53348158. 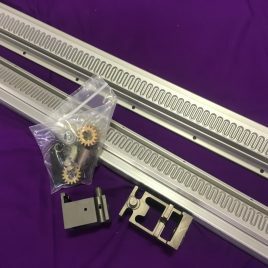 Please specify in your comments at checkout whether you require a LEFT or RIGHT slide out repair kit. Left or right can be determined by viewing the fifth wheeler from the outside.